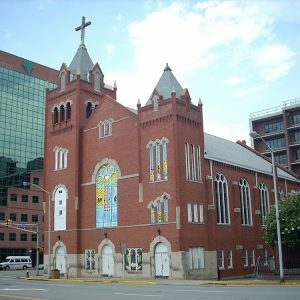 Bethel AME Church was organized for blacks in Columbia in 1866 just after the Civil War. In 1921, Bethel moved to Sumter Street. It was built in the Romanesque Revival brick style. John Anderson Lankford, who is one of the first registered black architects in the United States, designed the structure. Bethel has played a major role in the black community including serving as a place for civil rights meetings in the 1960s.